Providing you the best range of table top batch coding machine, carton batch coding machine, batch coding machine, semi-automatic batch coding machine, table top coding machine and label batch coding machine with effective & timely delivery. The Carton Batch Coding Machine manufactured at our ultramodern infrastructure facility is used for the bar coding and labeling of a wide range of products. These are extremely popular in the market owing to their light weight and compact design. The portability of these machines makes them convenient to use. These are highly durable machines which function efficiently for long time periods without requiring much maintenance. These are packaged in tamper-proof packaging to prevent product damage during transit. 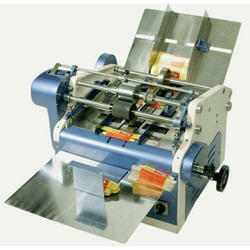 We are offering Batch Coding Machine to our clients. We are offering Semi-Automatic Batch Coding Machine to our clients. 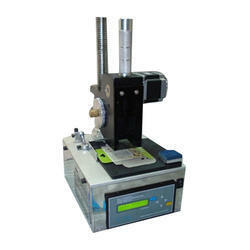 The qualitative Table Top Coding Machine manufactured by us are highly acclaimed for their smooth and efficient operation. 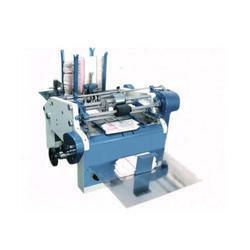 These machines are highly acclaimed for their ease of use and simplified designs. These function in manual as well as automatic modes and do not have high maintenance requirements. 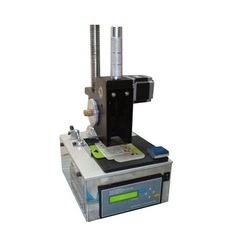 These machines are supplied to clients within the specified time period at leading market prices. The usage of these machines pertains to the bar coding of various items. Malls, shops and commercial establishments highly demand these machines. The Label Batch Coding Machine manufactured at our ultramodern infrastructure facility is used for the bar coding and labeling of a wide range of products. These are extremely popular in the market owing to their light weight and compact design. The portability of these machines makes them convenient to use. These are highly durable machines which function efficiently for long time periods without requiring much maintenance. These are packaged in tamper-proof packaging to prevent product damage during transit.